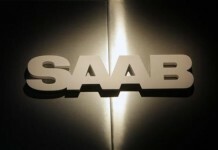 After months of negotiations and setbacks that left Saab’s fate in limbo, Dutch sportscar maker Spyker said Tuesday it had finalised the purchase of the iconic Swedish brand from General Motors. Spyker’s CEO Victor Muller told reporters in Stockholm it was hard to imagine that the process his company, a minnow in the car industry, had started three months ago to acquire Saab was finally over. “Its been a very rough ride … to come to the point that we are today, that we have actually bought Saab and Saab is now saved,” he said. Saab Automobile and Spyker Cars will operate as sister companies going forward, both held by holding company Spyker Cars N.V., which is listed on the Amsterdam Euronext exchange, Spyker said in the statement. Spyker said in a statement the transfer of ownership took place at 1530 GMT on Tuesday. “We have completed the deal between Spyker and General Motors, and in conjunction with that, also signed the loan agreement with the European Investment Bank that also has the state guarantee from the Swedish government managed through the national debt office,” he said. “This is a great day for Saab employees, dealers and suppliers, and a great day for millions of Saab customers and fans worldwide,” GM said in a statement. 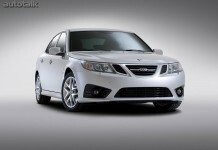 In a statement he said the Swedish company would now focus on the introduction of its new 9-5 model later this year. “If we can (ensure) that the new generation of Saabs, starting with the 9-5, and the subsequent 9-4, and then the new 9-3, will be really Saabs, the way the customer was used to Saabs being Saabs, we will get them back,” Muller said. “If doesn’t take rocket science to figure out that if Saab just gets its own customers back, we will make 100,000 cars in no time,” he added. Spyker manufactured 21 cars in the first quarter of 2009 and sold 23 for prices starting at 199,990 euros. It has a workforce of about 90 assembly workers while Saab has 3,400 employees in Sweden alone.